The wings of Megatibicen dorsatus, a prairie-dwelling cicada, are helping engineers design water-repellent surfaces. CHAMPAIGN, Ill. — Researchers are looking to insects – specifically cicadas – for insight into the design of artificial surfaces with de-icing, self-cleaning and anti-fogging abilities. Their wings allow cicadas to fly, of course, but they also are good at repelling water – a condition that humans can appreciate, too. 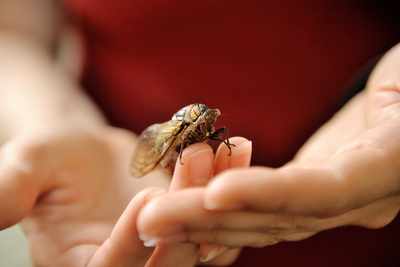 The study, published in the journal Applied Materials and Interfaces, focused on the water-repelling ability of cicada wings. The research team of engineers and entomologists used high-speed microscopic photography to study the wings’ ability to repel water. Past cicada-wing studies have focused on a single species. However, nature is variable, and the team wanted to take a comparative approach to represent this variability. 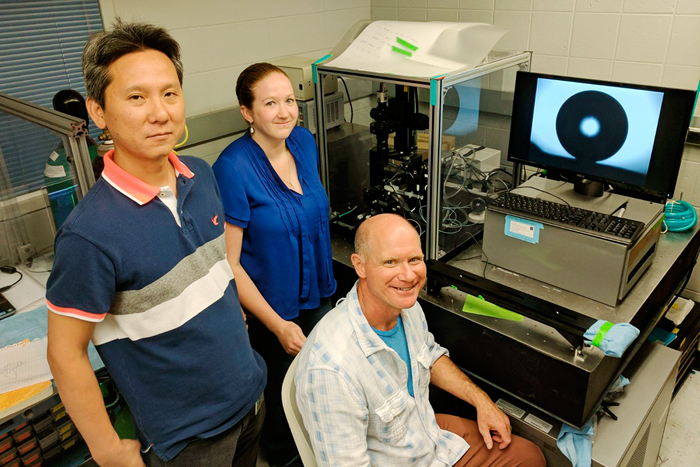 “Traditionally, the idea would be to collect cicadas that live in wetlands to study wing hydrophobicity,” said Marianne Alleyne, an entomology research scientist and a co-lead on this study. Such studies are based on the assumption that wetland-dwelling cicadas have the most water-repellant wings. “We wanted to test this hypothesis, so we collected four different species – one found in wetlands, one from forests, one from prairie lands – all annual cicadas – and one periodic seventeen-year cicada,” Alleyne said. 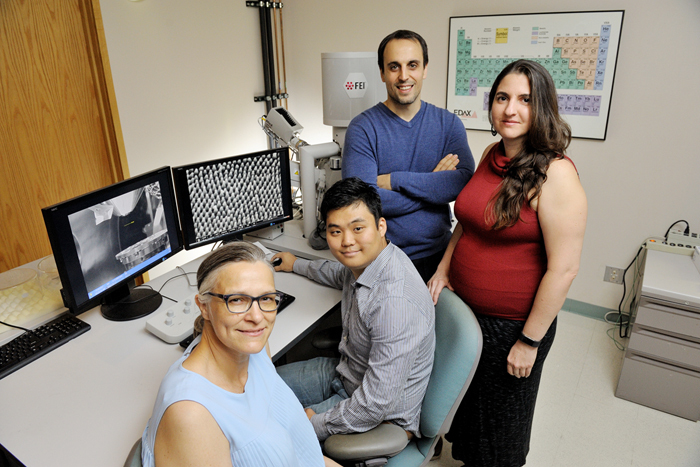 The University of Illinois team, from left, Marianne Alleyne, Junho Oh, Nenad Miljkovic and Catherine Dana. Not pictured: Je Won Hong and Jonah Nguyen. It turns out that other factors may be better predictors of superhydrophobicity, such as differences in species life cycles – annual versus perennial varieties, for example – and species relatedness. The Engineer Research and Development Center-Construction Engineering Research Lab team, from left, Sungmin Hong, Jessica Roman and Don Cropek. Not pictured: Kyoo Jo. This is the first of several cicada-wing bioinspiration studies to be conducted in collaboration with ERDC-CERL. The work is supported by the Army Basic Research Program. Je Won Hong and Jonah Nguyen from U. of I. and Kyoo Jo, Jessica Roman, and Sungmin Hong from ERDC-CERL are also co-authors of this work. To reach Nenad Miljkovic, call 217-300-0499; nmiljkov@illinois.edu. To reach Marianne Alleyne, call 217-333-8652; vanlaarh@illinois.edu. To reach Don Cropek, call 217-373-6737; Donald.m.cropek@usace.army.mil. The paper “Exploring the role of habitat on the wettability of cicada wings” is available online and from the U. of I. News Bureau.